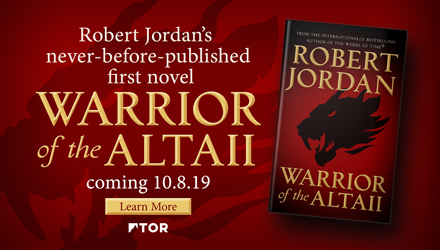 In August, total net book sales rose 9.1%, to $2.45 billion, compared to August 2012, representing sales of 1,202 publishers and distributed clients as reported to the Association of American Publishers. For the first eight months of the year, total net book sales has slipped 1%, to $10.03 billion. E-book sales continue to stall, with drops in the adult and children's/YA categories of 2.9% and 7.6%, respectively. Adult hardcovers turned in a sterling summer performance, rising 47.8%. During the month, all adult books and e-books sales rose 8.9%, to $442.9 million. Children's/YA books, e-books and board books slipped 0.1%, to $141.1 million. Religious books and e-books fell 2.1%, to $49.5 million. University press books and e-books fell 3.5%, to $14.3 million. For the first eight months of the year, adult books and e-books sales are off 1.1%, to $3 billion. Children's/YA books, e-books and board books have fallen 15.8%, to $906.2 million. Religious books and e-books have fallen 3.2%, to $347.2 million. University press books and e-books have risen 3.4%, to $74 million. The fate of the Barnes & Noble bookstore in Detroit suburb Royal Oak remains unchanged for now, after a petitioner's request to transfer a Class C license to the location and convert the site into a 270-seat Italian restaurant and nightclub was withdrawn. "This is a withdrawal, not a postponement, or a delay," said Mayor Jim Ellison, who announced the decision prior to public comment at the City Commission meeting. 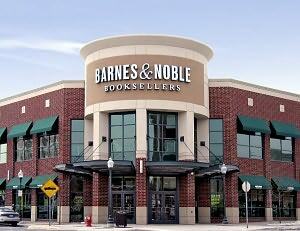 Describing the B&N store as "safe for now," the Royal Oak Patch reported that SV One, LLC. "sent a letter via electronic mail to city officials withdrawing the request Monday afternoon. The letter offered no explanation for the withdrawal.... The future of the Royal Oak Barnes & Noble has been controversial since the story broke last week that the retailer may be losing its Main Street address." Downtown resident Tom December said he had been corresponding with David Deason, v-p of development for B&N, who told him the bookstore is successful and B&N is "satisfied with its performance." The store has a lease until January 2015, but a clause in the agreement allows the landlord to cancel with some notice. "There seems to be some confusion as to what is going on in respect to Barnes & Noble," said Tim Blum, the building's owner. "It's been rumored that I want to throw them out. If I wanted to do that I probably could have done it about a year and a half ago.... Despite what Mr. December said, they have not done the sales to justify the rent. In fact, we cut (the rent) in half, so yes, I would hope they are making money now, but I am not. I can't keep subsidizing that space forever.... The reality is the sales just aren't there." In response to Amazon's launch of the Australian Kindle Store last week, Pages & Pages Booksellers in Mosman, just north of Sydney, has revised and upgraded its "Kindle amnesty" program, which was first introduced in April to help "people to understand what Amazon is doing and make an informed choice." The Kindle Amnesty 2.0 campaign allows customers to exchange their Amazon Kindle for a $50 gift voucher when they purchase a Kobo device. "Our Kindle amnesty had a fantastic reception when we first launched it," said Jon Page, the bookstore's general manager. "It helped to spread the word that the Kindle is an Amazon product that locks people into Amazon and there are alternative e-reading devices. What Amazon are doing with e-books affects readers and bookshops all over the world." 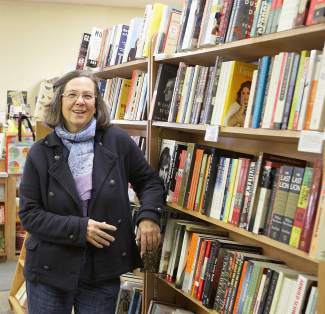 "Down the road, we hope we have a future," Debbie Lane, owner of the 21-year-old Truckee Bookshelf, Truckee, Calif., told the Tahoe Daily Tribune. The bookshop, which moved to its current location in the Westgate Shopping Center earlier this year, has seen sales drop 25%-30%. "We just need people to get in the store and shop," Lane said. The bookstore is the only one remaining in the area, after the Tahoe City Bookshelf closed in March 2012. In addition to some local efforts to raise funds and awareness, Truckee Bookshelf is launching a campaign with the goal of $30,000 between now and January 16, 2014. "We're asking people to help in a way which is appropriate for them," Lane said, "whether that's donating, buying a book from the store or spreading the word." 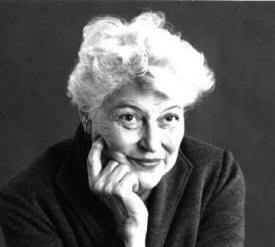 Charlotte Zolotow, "a distinguished author and editor of children's books whose work--both her own titles and those of the writers in her stable--offered even the youngest readers a forthright view of emotionally fraught subjects like anger, envy and death," died yesterday, the New York Times reported. She was 98. Shelf Awareness children's editor Jennifer Brown has written a heartfelt tribute to Zolotow (see Deeper Understanding below), whom she described as "an amazingly generous teacher, writer and editor." Syd Field, whose 1979 book Screenplay: The Foundations of Screenwriting sold millions of copies and "became widely regarded over the next three decades as the 'bible' of screenwriting, the paperback enabler of Hollywood dreams," died Sunday, the New York Times reported. He was 77. 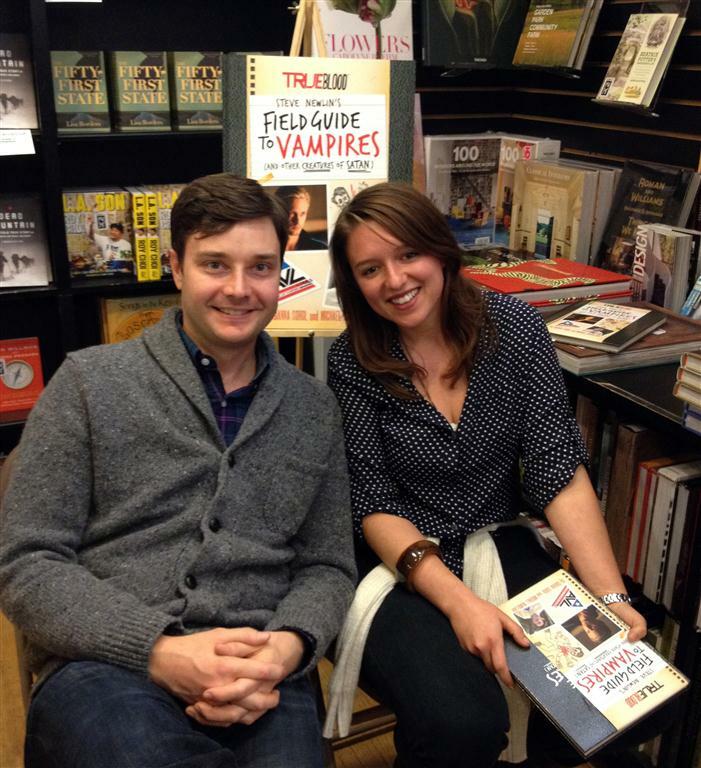 Book Soup in West Hollywood, Calif., hosted the launch of True Blood: Steve Newlin's Field Guide to Vampires by True Blood associate producer Gianna Sobol (right) and Michael McMillian (left), who played Newlin on the hit HBO show. The book, published by Chronicle, is an in-world guide written from the perspective of Newlin, who leads a fundamentalist anti-vampire group before becoming a vampire himself. The National Book Foundation held a luncheon ceremony Tuesday for the fifth annual Innovations in Reading Prizes, honoring, in the words of programming director Leslie Shipman, individuals and organizations "thinking as creative as possible for ways to promote reading for its own sake." As noted by Justin Stanley, the president of the Uprise Books Project, which distributes banned and challenged books to underprivileged teens, many of this year's recipients addressed the problems surrounding access to books in poor communities underserved by bookstores or libraries. Worldreader, a Seattle-based organization that has provided Kindles to 12,500 children in nine African countries, as well as delivering ebooks via mobile phones to hundreds of thousands of other readers. Nominations are now open for the WNBA Pannell Award, sponsored by the Women's National Book Association and Penguin Young Readers Group and recognizing "bookstores that enhance their communities by bringing exceptional creativity to foster a love of reading in their young patrons." One Pannell Award is given to a general bookstore and one to a children's bookstore. Nominations can be made by customers, sales reps, store personnel or anyone else who has been impressed with the work of a particular independent bookstore. To nominate a store, send an e-mail to PannellAward@gmail.com that includes the name, e-mail address and phone number of person making the nomination; that person's connection to the nominated store (such as customer, owner, employee, publisher); a brief statement outlining the reasons that store is being nominated; and contact info for the owner/manager of the nominated store. Nominations must be made by December 15. Each winner receives a $1,000 check and a framed signed original piece of art by a children's illustrator during a presentation at the BEA/ABA Children's Book and Author Breakfast next May. Noting that buying a book for someone else as a gift can be challenging, Chronicle Books Blog "called upon booksellers from five of our favorite independent bookstores across the country to give us their top recommendations this holiday season." Yesterday's entry featured Shawn Donley, new book purchasing supervisor at Powell's Books, Portland, Ore.; and Karen Hayes, co-owner of Parnassus Books, Nashville, Tenn. Today's bookish gift-giving tips come from Politics & Prose Bookstore, Washington, D.C.; Common Good Books, St. Paul, Minn.; and BookPeople, Austin, Tex. "When you give a book, you're offering a portal into another world and you're asking someone else to step though," Chronicle wrote. "Accepting a book recommendation can be a leap of faith, so it's often best left to the experts. This is what makes local bookstores such a wonderful resource in the community. There's always someone there willing to help you find the perfect gift." Little Santa by Jon Agee (Dial/Penguin), featured in our round-up of kids' holiday books, below. Tomorrow on Katie: Anjelica Huston, author of A Story Lately Told: Coming of Age in Ireland, London, and New York (Scribner, $25, 9781451656299). Tomorrow on KCRW's Bookworm: James Franco, author of Actors Anonymous (Little A, $26, 9780544114531). He will also appear on Conan. Tomorrow on MSNBC's Andrea Mitchell Reports: Mark Halperin, co-author of Double Down: Game Change 2012 (Penguin Press, $29.95, 9781594204401). Tomorrow night on the Colbert Report: J.J. Abrams, co-author of S. (Mulholland, $35, 9780316201643). Screenwriter Billy Ray (Captain Phillips, The Hunger Games) will write and direct The Last Tycoon, an HBO series based on F. Scott Fitzgerald's final, unfinished novel, Deadline.com reported, adding that Party of Five co-creator Chris Keyser "is attached as showrunner to the project, which hails from Sony Pictures TV." Elena Poniatowska, author of more than 40 books translated into over 20 languages, won the €125,000 (about US$169,560) Cervantes Prize, "the most important award for works written in Spanish, for her 'brilliant' literary career and 'exemplary' dedication to journalism, always with a 'firm commitment to reflecting current events,' " the Spanish-language news agency EFE (via Vida Latina) reported. Spanish Education, Culture and Sports Minister Jose Ignacio Wert said Poniatowska stands out for her "literary contribution" as well as her presence in the media and her commitment to social and political issues. 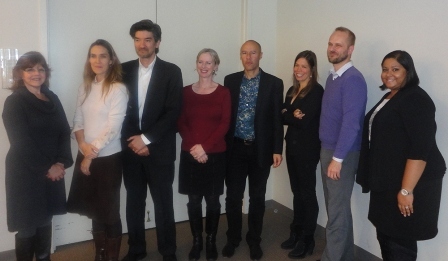 Fredrik Logevall won the inaugural $5,000 American Library in Paris Book Award, given to "the best book of the year in English about France or the French-American encounter," for Embers of War: The Fall of an Empire and the Making of America's Vietnam. James Dashner, author of the Maze Runner series, launches the Mortality Doctrine series this fall. 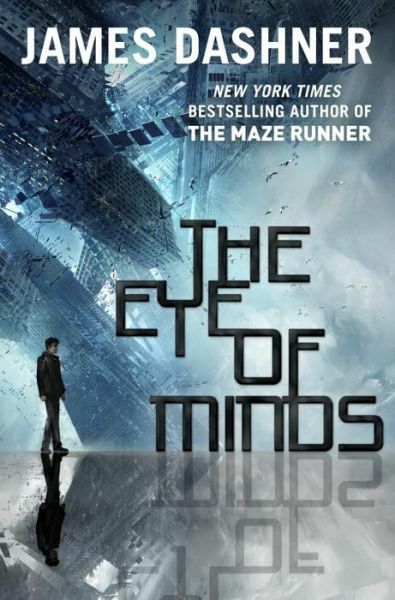 In the first book, The Eye of Minds (Delacorte), Michael's body remains safe in a "Coffin," while his mind is free to roam the VirtNet and play Lifeblood Deep with his virtual friends. 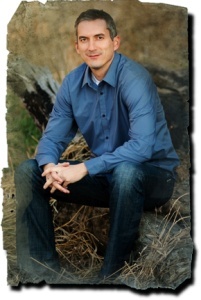 Dashner was born and raised in Georgia and now lives in the Rocky Mountains with his family. Manson by Jeff Guinn. I was too young to know much about Charles Manson until he'd been in jail for a long time, so I never really knew his story. And we're talking about a guy (me) who loves Dexter, American Psycho and other miscellaneous tales about serial killers (The Following, anyone?). When I saw that a new book had come out about Manson's life, and that the book was well reviewed and well researched, I snapped it up. And man, is it fascinating. I honestly don't read a lot of nonfiction, but I'm ripping through these pages. And let's just say I've gotten a lot of inspiration for future stories! A Wrinkle in Time by Madeleine L'Engle. It's really hard to pick just that one, because many, many authors and books influenced my love of reading as a kid. Anything by Judy Blume, Charlotte's Web, the Hardy Boys and Nancy Drew (yes, I read every one of those), James and the Giant Peach, etc. I could go on and on. But L'Engle's book really and truly (profoundly, you could say) rocked my world. The sense of wonder and other-worldliness and suspense hooked me to no end, and I think that affected what I've loved to read and write ever since. Stephen King: Simply put, he is my idol. He's a genius like no other. I like to read his books while I'm writing my first drafts because he inspires me so much. His son, Joe Hill, will probably pop on my list soon. Like father, like son. George R.R. Martin: I don't know how he does it. A Song of Ice and Fire is so long and so deep, and there are so many characters and places and events. And yet I love every single page (and there are lots and lots of those). I'm glad that I can say I loved his books before the HBO series turned them into a phenomenon. But I like the show just as much. Tom Clancy: I went through a Clancy phase right after college and pretty much read every single one of his books. Jack Ryan is one of my favorite literary characters of all time, and it's not just because I picture Harrison Ford when I read about him! The authenticity and tension of the stories just blew me away. J.K. Rowling: Ah, Rowling. What can I say that hasn't been said? It almost seems cliché to include her, but how could I not? There's just something magical and special about the Harry Potter series, and it's one of those things that I know I could never duplicate no matter how hard I tried. Khaled Hosseini: I know he only has three books to his name, but they were all brilliant and mesmerizing and stayed with me long after I read them. Madame Bovary by... I'm not even going to bother looking up the author just to make a point. I really hated this book and couldn't finish it, assignment or not. The Stand by Stephen King. If you want to read a book where the characters and world and fear truly come to life, read this. It's my favorite book by my favorite author. The Way of Kings by Brandon Sanderson. Michael Whelan is probably my favorite fantasy or science fiction artist, and Brandon is a friend, so I would've bought it anyway. As an e-book. But this cover on such a gigantic book is just something I needed on my shelf. The Sword of Shannara by Terry Brooks. I didn't know I loved big fat epic fantasy books until I read this one in middle school. I've loved them ever since. It was a real thrill for me to meet and hang out with Terry recently, as surreal as it gets. Surreal, amazing, spectacular. A dream fulfilled. That, or I'm actually dreaming. It's time to make merry with a few of our favorite selections. Visions of sugar plums may dance in the heads of his three older siblings, but a boy toddler (wide awake on the cover) can't sleep, and slips downstairs in his union-suit pjs with his cat. The father narrates, and shares with his boy the wonder of St. Nick's visit. Hobbie's watercolor, pen-and-ink and gouache illustrations capture the glow of the hearth and outdoor scenes of the glistening snow. All babies cry, even Jesus in the manger, according to this charming picture book. Each of the animals tries to quiet him, but only a kitten's purr gets Jesus to sleep. When the Holy Family must leave Bethlehem, the feline comforts Jesus and helps them slip safely past Herod's soldiers. Watercolor, gouache and pencil illustrations convey the rustic coziness of the stable as well as the emotional range of baby Jesus. Birdsong carrying a message of peace plays a central role in this beautifully illustrated retelling of the Nativity. "Why don't we sing it anymore?" asks the little robin pictured on the cover. While the other birds insist that "people don't listen," the robin suggests, "We should sing it for the children." Pale skies and white landscapes allow the birds' vibrant colors and the children's coats to pop in paintings as serene as a snowfall. 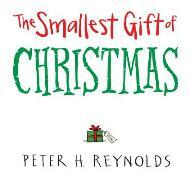 Roland runs downstairs on Christmas morning, only to be disappointed: "Had he waited the whole year for this tiny gift?" Each time he wishes for a larger one, its size increases, yet he shouts, "I want a bigger gift!" His rocketship search for the grandest gift yields an epiphany: Earth, "now just a speck," where he left his family behind, is where he most wants to be. The message is a wee bit harder-hitting than in many of Reynolds's (The Dot) books, but well worth emphasizing. Santa Claus assumes the role of Goldilocks in Modugno's clever retelling of an interloper in the home of three polar bears. The mother-daughter artist team chronicles Santa's sampling of the bears' pudding, and breaking Baby Bear's chair in the ursine family's cozy abode. Luckily, he presents gifts to the trio when they wake him from a nap. Agee's (Terrific) humorous picture book imagines a childhood for Santa as one of seven children growing up on the North Pole--and the only Claus who loves the wintry climate. A boy in a red suit happily carries wood and ice fishes while the rest of his family, with hunched backs and muted wardrobes, look glum. His favorite activity is sliding down the chimney. When a blizzard traps the family, Santa's preferred activity and can-do spirit saves the day and sets the stage for a future career. Because he's always been pampered, the star of Fuddles understandably assumes that the spread on the table is just for him. "Me-wow!" he cries. Warnings of "Fuddles, don't touch!" and "Stay away!" befuddle the feline, who makes a quick escape after nearly knocking down the Christmas tree. Vischer's digital depiction of Fuddles's Santa-like return, and his restoration to a pampered position, will leave readers laughing. Tallulah gets the only present she really wanted: a chance to dance in The Nutcracker ballet with a "real" dance company. Her wish to stand out is also granted--but not in the way she expects. Her misstep causes a small catastrophe on stage, but the dance master and two leads share their own embarrassing stories and reassure her that she modeled the most important lesson: to keep going. and later to have her own imprint. about Washington Square Park, Zolotow suggested. What's so special about this park? It was her first book for young people. It was not her last. Maurice Sendak illustrated her Mr. Rabbit and the Lovely Present. was included in Marlo Thomas's Free to Be, You and Me. of what were "acceptable" interests for boys and girls. For so long Charlotte broke many other barriers. Who ever heard of poetry for two voices? and his Newbery Medal–winning Joyful Noise. and approached him to write for young people. That led to The Pigman. bend genres or tackle tough topics. She was "the iron fist in a velvet glove,"
made with a green felt pen. for her authors and colleagues. and surface with the books they were meant to write. For she was one of them.